memories | Confessions of a Recovering P.K. When I was a kid, we just didn’t have a whole lot of money to enjoy some of the amenities that a lot of my friends had. Personal computers weren’t what they are today. Texas Instruments. Apple. Radio Shack. All of these companies produced computers but they cost a small fortune (for my family) and didn’t offer near the variety that computers and gaming systems offer today. After being pestered by my brother and I for years, my parents finally broke down and scrounged together enough money for us to have a Texas Instruments TI-99-4A. I’m not sure how much my parents paid for it, but I’m sure they made some sacrifices to afford it. The graphics were horrible, it was slow as molasses in January, you needed to connect it to the TV, and it probably froze frequently. But it was ours, we loved it, and we realized it was a privilege to have it and to play it. We never spent a whole lot of time playing on it, not the way that my kids and other kids today spend hours at a time on one game. Funny, the only game I really remember playing with my dad was Bible Tic Tac Toe. Needless to say, he pretty much won all the time. As he got older (and so did I) I think he migrated to an assortment of other games, most likely due to my mom’s influence. Still, when it came to games, my mom was the expert. Yahtzee. Uno. Scrabble. Dutch Blitz. The list probably goes on and on, but those were the games that I remembered. In fact, I’m pretty sure that my mom got her love of games from her mother because I can remember playing Scrabble with my mom and grandma for hours. My grandma was a Scrabble fiend, I think she kicked my tail hundreds of time. Her reputation for Scrabble was such that I even remember my brother mentioning her love of the game at her memorial service after she died. After my parents died, my brother and I went through their stuff and divided it between us. There wasn’t a whole lot of things that had significant monetary value, most of the items had more sentimental value than anything else. Among those belongings were my parents’ games. Having kids of my own, I wanted to have the chance to play some of the very games that I had enjoyed with my parents with my own kids. It will be three years next month since my dad died and five years in July since my mom died. My kids are getting older, the two oldest being among the best readers in their classes. So, having endured hours and hours of video game playing by my two oldest, I thought that the time had finally come to dig out my parents’ Scrabble game. I asked my wife where we had stored it and she told me. I’m not sure what was going through her head when I asked her, probably something like, “You can’t be serious!” It seemed a risky proposition to attempt this game with a seven year old, a nine year old, and a four year old (the four year old would be on someone else’s team), but we did it anyway. The result was much more enjoyable than either of us would have expected. The Scrabble board was utilized much more expansively than either of us would have imagined. Other than the fussings of my four year old (which are fairly typical in anything these days), I think that we all had fun. Since my kids have been able, we’ve played games with them. Chutes and Ladders. Candyland. Headbandz. Yahtzee. Pie Face! Now we can add Scrabble to that list. And I’ve successfully begun to pass on a family tradition. It’s funny, it was almost as if I had gone back in time as I played the exact game that I had played for years and years with my mom and grandma. I could almost hear them laughing, taunting, encouraging, and laughing some more. I even found some decades old scraps of paper with scores of played games between me and my grandma. I’m pretty sure she always won. Yes, my kids still love their gaming system. Yes, they’ll still spend hours on end playing in front of the TV, but I’m really encouraged to know that it’s possible and even enjoyable to take a break from those gaming systems and pull out an old-fashioned game to sit around the kitchen table and laugh together. After all, the family that games together, stays together, right? It’s hard to fully tell just what the Star Wars franchise meant to me growing up. For most, if not all, of my elementary school years, it was a huge part of my childhood. The first movie came out when I was 4 years old, the second when I was 7, and the third when I was 10. I had a Star Wars lunchbox, one of those metal kinds that come with the plastic thermos. I had the plastic guns and even tried on my mom’s knee high boots so that I could look like Han Solo (she wasn’t thrilled about that one). Star Wars was a mainstay to my generation and when we found out that episodes I, II, and III would finally become a reality, we began to dream about all the possibilities. Needless to say, that didn’t go as expected. While you might agree that Episode III was a worthy effort, there are hardly arguments when criticism is heaped at the first two (if not all three). A generation who had become cynical based on what they were experiencing just found one more reason to maintain that same cynicism. The possibilities that seemed endless had actually ended with a less than stellar result. Meanwhile, book after book was published about the characters to whom we were introduced in the original series. No one ever wanted to read about Jar Jar, but they could read about Luke, Han, and Leia until the cows come home. Stories were written and it seemed that every fan of Star Wars would be doomed to be left with the bad taste in their mouths after hearing that dumb Gungan speak his backwards form of English. At least Yoda’s backwards speak has an endearing quality to it, Jar Jar’s is just plain annoying. In 2012, Disney bought Lucasfilm, the company behind Star Wars, for $4 billion. Some of the greatest loved characters of all time were now being combined together through ownership and many wondered what that might mean for Star Wars. Well, if Star Wars was second nature to me as a child, it’s hard to describe just what Disney was at the same time. I grew up going to Disney World. I still have the 8MM films that I can play on my projector of our jaunts to Disney World when I was barely the age of my youngest child. While Star Wars was a mainstay in my life as a child, Disney seemed to be a permanent fixture as well, not only to my generation, but to my parents’ generation as well. It had an intergenerational connectivity and quality about it that was rarely seen by others. But we had been burned by Star Wars before and the thought of the House of the Mouse taking over at the helm of Star Wars seemed a bit worrisome. At first, the connections were subtle. You go to Disney World and you see the hybrid of some of your favorite characters from both Disney and Star Wars. A little kitschy, but not a deal breaker, after all, Lucasfilm began the animated series “The Clone Wars” before Disney had made the deal. Then came the rumors…..rumors of another trilogy. My son claims that I first mentioned the prospect of another Star Wars trilogy to him around 2010 or so (he claimed that he had been waiting half of his life for “The Force Awakens “ to become a reality and he was born in 2006). In early 2013, rumors that J.J. Abrams (of TVs “Alias” and “Lost” fame) would be directing the first in the new trilogy were confirmed, and the Star Wars universe went a little crazy. What had been dreamed of would become a reality. Nearly three years later, “The Force Awakens” broke box office records by bringing in a record $238 million on opening weekend. Just two weeks prior to its December 18th release date, I took my oldest son, the one who had been waiting half of his life for this event, to buy tickets at the theater. Standing there at the theater with my nine year old son, holding tickets to a first run Star Wars film seemed a bit surreal to me. Was this really happening? If it was, would it (could it) live up to the hype? Could millions of fans really be satisfied by the outcome of this? Should it even be attempted? In 2009, J.J. Abrams had successfully rebooted the Star Trek franchise, overhauling the cast and characters to bring them to a new generation. In geekdom, how would he fare at taking over another beloved franchise, not for a reboot but for a continuation? When December 18th finally came, when I finally brought my boys to the theater, I wasn’t sure who was more excited. These kids got out of school early for this, not too early, and it was the last day before Christmas break, but early nonetheless. There was excitement in our house all week long. Even our beloved Tinsel Trooper (our own geek version of the Elf on the Shelf) had gotten in on the action. We were excited, there was no doubt about it. I can’t remember the last movie that I saw in the theater where there was as much clapping throughout as there was in “The Force Awakens.” The familiar “A long time ago, in a galaxy far, far away…..” appeared on the screen and the theater erupted in applause. Familiar characters appeared on the screen and the theater erupted in applause. Even X-wings and Tie Fighters got in on the action, not garnering nearly as much applause as the Millenium Falcon, but still it was applause. We all say glued to that screen for the just over two hours that the movie ran, and as the final moments of the movie played, as I felt the action slowing to a stop, something inside me welled up. I realized that I was experiencing this with my boys. MY boys. I was sitting in theater, watching Star Wars with my two sons, and we were all seeing it for the first time. My eyes began to well up a little themselves and I put my arms around my boys as we walked towards the exit. My oldest, always displaying the typical birth order characteristics of an oldest, announced his sheer approval of the film. He was satisfied. My youngest son, also fitting into all of the stereotypes of a middle child, cautiously opined over the film, expressing his approval, but not too much, just enough to still be safe should anyone else have anything not so positive to say about it. We walked into the night towards our car and I still was processing what had happened both on and off the screen. It was a powerful moment for me, not one that will easily be matched or forgotten, that moment when I experienced this movie with my sons. I couldn’t help but think about my older brother and me walking out of the theater with my mom who had taken us to see the original trilogy’s second two films. The picture in my head made me smile while at the same time caused me to hug my boys just a little bit closer. 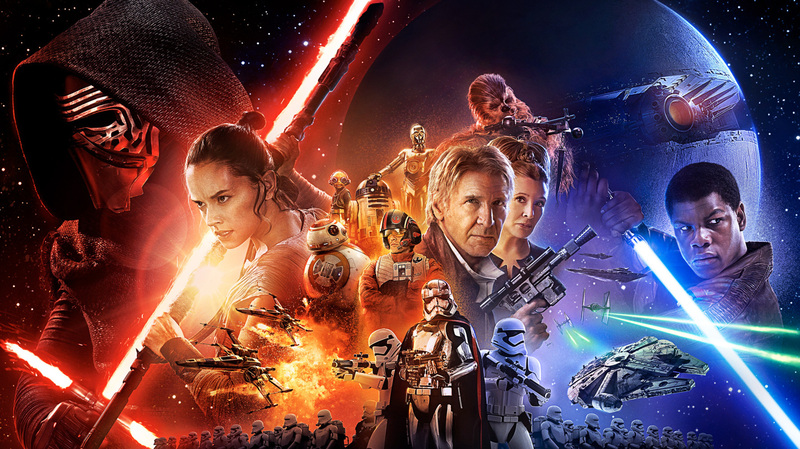 “The Force Awakens” was more than a film to me, it was an experience that held so much nostalgia. It’s almost unfair to tack so much weight onto something, but somehow it managed to hold that weight. My boys are still talking about it and I’m feeling the need to see it again with my wife just so that my middle child doesn’t explode at the prospect of keeping everything secret for any length of time. My four year old, she’s still got a little time before she gets there, but once Mommy sees it, for these boys, I think all will be right with the world…….and I just can’t wait! I am in constant need of reminders, be they subtle or not, to slow down and enjoy life and its little moments. I have heard the phrase on many occasions that we are human “beings” rather than human “doings” and every time that I hear it, it jolts me awake to the point of realizing that things are passing me by and I’m missing them. I need to be reminded that there is only one day like today, it will never happen again, I will never be able to relive it or recapture it, I will never be able to come back and pretend that I’m Bill Murray in “Groundhog Day,” replaying a day endlessly until I finally get the desired outcome. Recently, I was on vacation with my family. We didn’t go anywhere exotic, unless you consider Connecticut exotic. We took nearly two weeks to spend time with our family. Over the course of those nearly two weeks, my wife and I attended both a wedding and a funeral, two life events that are almost certain to jolt you awake from any slumber of complacency that you might have been enjoying. 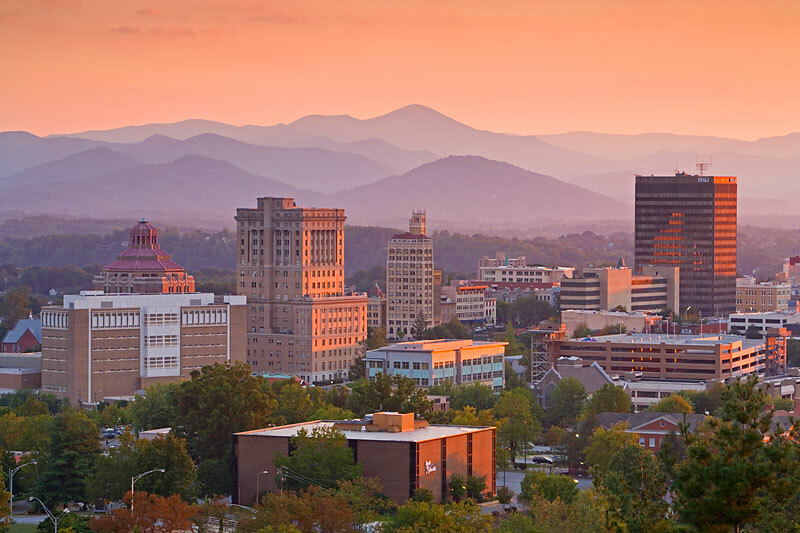 As we spent time at my in-law’s house, I realized that the daily routine that my kids had adopted at our house in Virginia had easily been adopted in Connecticut. They woke up and ran downstairs to sit in front of the television, ingesting all that Cartoon Network, Nickelodeon, and the Disney Channel had to offer them. If there was no intervention, they could have easily stayed put like that for the entire day, allowing their brains to be numbed and melted by whatever meaningless drivel and fare that was being spewed out from the flat screen television. At one point, I can’t remember which of us, my wife or I, had gotten fed up and turned the television off. The kids who are smart, creative, and funny, somehow forgot that there was a world outside of television. They had forgotten to use their imagination to find a world outside of one that was created for them. They had forgotten what it was to discover, to learn new things, to try new things, and it was most likely a result of me forgetting the very same thing. The TV went dark and they began to complain about there being nothing to do. It’s a dilemma that every parent who loves and cares for their children eventually faces. This parenting thing isn’t for the weak of heart, but for the courageous, the brave, and, sometimes, the stupid. In those moments as parents face those dilemmas, they need to think fast on their feet, generating new ideas and plans at the drop of a hat as they do their best to fend off the impending boredom that is sure to face their children (tongue planted firmly in cheek). The sun was shining outside and there was a whole stack of paper in the printer, so, I thought, it seemed the perfect time to build paper airplanes. After all, their father was a paper airplane champion, to the point that I had been banned from the last day of my 7th grade Spanish class in our third floor classroom after having been involved with what my 7th grade math teacher had deemed “the beginning of World War III.” On the second to last day of school, I joined a few of my friends to fire paper airplanes out the third floor window of the classroom when the teacher’s back was turned. I imagine that as my math teacher, as he stood three stories below, may just have heard Wagner’s “Ride of the Valkyries” in his head as he watched the onslaught of paper airplanes descending upon the courtyard in which he stood. Needless to say, my friends and I, although expert airplane builders and flyers, were not welcomed back to our Spanish class for that last day but instead were forced to walk the school grounds picking up trash to pay for our transgressions. As I recounted this story in my own mind, I grabbed some paper and began to fold and fold and fold some more. I helped my older two children as they followed suit, showing them the intricate folds that were required to construct our very own flying machine. 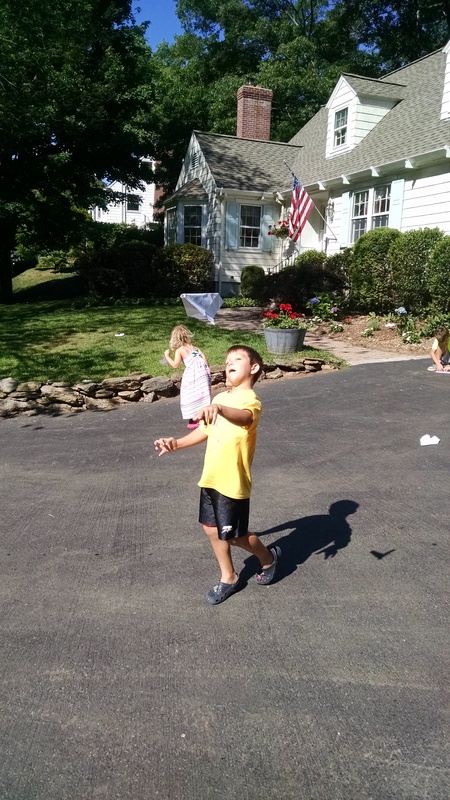 The excitement was palpable as the folding came to completion and we ran into the driveway to test out these flying machines that we had made. For the next hour or more, we stood in the driveway watching these airplanes zoom and swirl, spin and plummet. We laughed, we ooohhhh-ed and aahhhh-ed at the flight paths of these airplanes that had been created by our own hands. We grabbed more paper and made more, altering the design here and there to see the difference that it made in the flight of our planes. In those moments, those simple and innocent moments, we were all experiencing pure joy. It didn’t require electricity, it didn’t require a controller or joystick, it just took some paper, some time, and a little patience and imagination. I was reminded once again that I can prepare and plan all I want to create an experience for my children that I consider to be awesome, but some of the best and most memorable moments and experiences are the ones that just happen, the ones that spontaneously emerge from “boredom” or from a fast from television. I wondered to myself how I could rediscover this same joy and simplicity in all of the things that I do. In disconnecting, I found myself more connected. In being “bored,” we all found ourselves completely swept away in the excitement of the moment. I think I’m going to have to find a copy of Wagner’s “Flight of the Valkyries” and try this again. Maybe a little background music will add to the excitement of the moment. Either way, I know that I’ll be capturing a moment, a moment that I’ll never be able to find again. Right after my mom died, we all assumed that my dad was going to continue to live on his own. I was still finishing up seminary at the time and flew out to Minnesota just a few days after my mom’s funeral. So, imagine my surprise when midway through my week in St. Paul, I received a phone call from my dad telling me that he was in the hospital. He assured me that everything was okay and that he would be fine, but I should have known better. Dad had lost a lot in a short time period and it would be difficult for just about anyone to recover from that kind of loss. A career. A home. A wife and partner. The familiar. The convenient. The comfortable. Dad continued on his own, living in the townhouse that was supposed to have served my parents throughout their retirement for the next four and a half months. Then, well, you know what they say about something hitting the fan?! That Christmas may very well have been the worst Christmas in my forty plus years. Dad was in the hospital for a few weeks, he recovered enough to leave but not enough to be on his own. We were uncertain what would come next for him. I tried to be as sensitive as possible in the midst of my father’s frailty. He had been pushed into so many things in such a short period of time that I didn’t want to find myself guilty of being one more person pushing him into something that made him uncomfortable or sad. So, we held on to his townhouse, hoping that one day he would be strong enough and well enough to get back there again and live on his own. 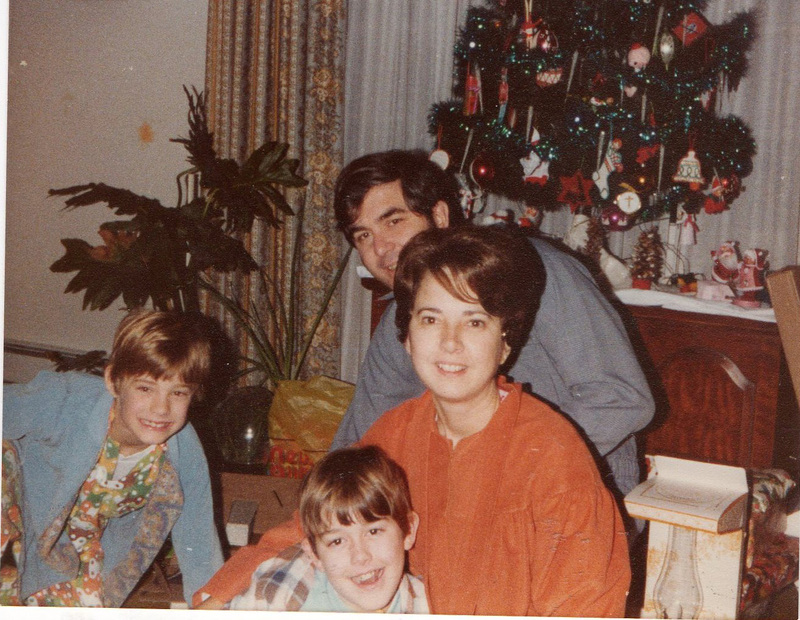 When I would go down to visit my dad, we would generally go out to lunch, maybe stop by the cemetery to see my mom’s grave, and then stop by the townhouse. Sitting there in the townhouse at the dining room table, opening up the mail that had come, I think it still gave him a sense of control, a sense of solidarity, and a sense of independence. I’m not exactly sure how it felt for him all of those times, but eventually, it was just me going to the townhouse and to the cemetery. Somewhere along the way, I realized that I was visiting two tombs. Although the townhouse still contained most of my parents’ belongings, it was empty, cold, and lifeless. Sure, there were memories there, but it was as if time had stopped and every time that I set foot in there, it was as if I was walking into an alternate universe where time was suspended for however long I chose to stay. Just as Edmund, Lucy, Peter, and Susan had set foot into the wardrobe transporting them to Narnia, so the townhouse had a similar effect on me. The difference was that while the Pevensie children were in the wardrobe time was suspended, the townhouse acted as sort of a time vacuum to me. The time that I spent there seemed to pass quickly without me fully realizing it. Over time, I realized that visiting the townhouse wasn’t too much different than visiting the cemetery. They were both tombs, of a sort. One was warmer, an larger, and better decorated, but they both contained something that was no longer there, except in my mind. In that townhouse I could find myself reliving memories, getting lost in daydreams, and simply remembering what used to be. We embraced the difficult task of getting rid of everything that we did not want to hold on to, helped (thankfully) by a friend who ran estate sales. In the months before the townhouse finally sold, it felt more and more like a tomb as there was nothing there anymore, no furniture, no pictures, no clothes, no sign of what used to be, just emptiness. We transported the remaining belongings to a storage unit not far from my house after the townhouse sold. One afternoon, not long after the townhouse sold, I found myself driving to the storage unit. As I opened the door, the remaining belongings still held that smell, you know, the smell of my parents. Not sure I can explain that in a way that would do it justice with words, but it was the same smell that hit me every time that I walked into the townhouse. I realized in that moment that the tomb had gotten smaller. It had gone from townhouse size to storage unit size. In some ways, it was a fitting metaphor for my grief. Not to say that my sense of loss over my parents felt any smaller, but it seemed that I was better able to handle it and on some level it had somehow shrunk from the size of a townhouse to the size of a storage unit. In the absence of the townhouse, I’ve not got many reasons to frequent Williamsburg. There are no trips to the townhouse, nor are there any trips to the cemetery. My trips to the storage unit are limited, but I know that one day, in an effort to eliminate expenses, we will need to eliminate that storage unit as well. Entering into this Lenten season, it seemed fitting for me to come to this realization. After all, the culmination of the Lenten season has to do with the discovery of an empty tomb and, beyond that, all of the implications that come with it. When faced with the emptiness and loss of what was, it’s easy to linger on it, allowing it to diffuse into our souls and somehow convince us that it’s the end. Facing the emptiness of the townhouse and the condensed memories that take up the storage unit, it’s a reminder to me that there is hope beyond tombs, I can picture in my mind that storage unit being empty one day, and I think it will be symbolic to me, in a way, of the hope that remains in the midst of emptiness. The tomb was empty, the clothes remained, but the body was gone. Jesus was gone. In much the same way, Mom and Dad are gone, the tomb is empty. Sure, there are still earthly shells of what used to be, but the lifelessness and emptiness that seems so palpable point me to a picture of hope, reminding me that death is not the end. Some people give up things for Lent, they take part in a fasting of sorts to focus them on the meaning of the season. I’ve never been one to do things simply because everybody else does and I don’t think that I will start now. In fact, maybe my visits to the “tomb” might become more frequent in the midst of this Lenten season. Visiting an occupied grave may serve as a fitting reminder to me that there was an empty tomb that was visited many years ago and the implications of its emptiness are as relevant today as they were back then. In addition, the ramifications of that emptiness ring loud and true today and on into eternity, so if that’s what tombs remind me of, bring it on. Nothing like finding a little hope in the midst of emptiness. 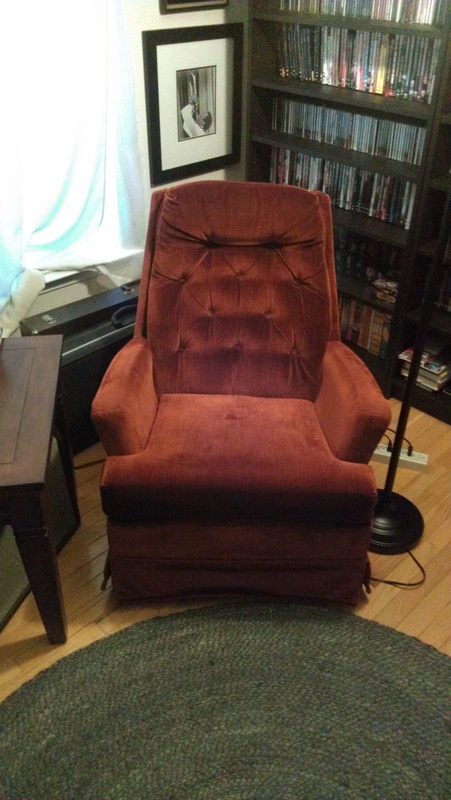 I have a chair in my media room. It’s not the prettiest chair. While it’s pretty comfortable, there are probably way more comfortable chairs out there. The thing about this chair is that there’s so much more attached to this chair than comfort and aesthetics. When my wife and I got married, like many young couples, we didn’t have a whole lot. I was working in the engineering field and she was working at our church. I also volunteered at our church, playing in the band and leading music, filling gaps wherever they might be. In all of my time and travels, I met some incredibly gifted people, and among them was a drummer named Steve. Steve and I became friends as soon as I met him. He was a PK (pastor’s kid) like me, so there was an instant bond there between us. We were musicians who played multiple instruments as well. I think that we were both troubled souls as well, like most musicians, there was a deep longing within us, a restlessness that came out through the creative process of making music. Steve was real and genuine. There was no pretense to him, and I loved him for that. Life’s too short to cover stuff over with fixings that simply hide what’s really going on inside. Every time that I spent with him, I would stand in awe of his abilities on whichever instrument that he was playing. In fact, on more than one occasion of listening to him play, I wanted to hang up my musician’s clothes and never touch an instrument again. But, alas, I continued. When I got married, Steve mentioned a chair that he had. He and his wife were getting rid of it. Never one to turn down a handout or free stuff, I willingly accepted his offer. He delivered the chair and it began as just one piece of furniture at the onset of this journey that we call marriage. It wasn’t pretty, but it got the job done. Steve is gone. He’s been gone for a few years. I can’t remember how long it’s been since we lost him. A bass player friend whom we used to play with all the time informed me of this loss when it happened. I was kind of numb when I heard the news. Two young children and a wife. Incredible skills and abilities. The troubled soul had finally found rest. My only solace was the knowledge that his faith stood throughout all that he had wrestled with and gone through. That solace usually doesn’t take immediate action though, it usually takes some time to set in. Through more than 13 years of marriage, 3 homes in 3 different states, the chair still remains. There’s something about sitting in it. It brings me back. I can’t help but think of Steve when I sink into the chair. It represents something so much more than a simple chair. One day, this chair will probably end up in the trash too. It seems inevitable. But, for now, I’ll milk every minute that I can sit in it. I’ll dream of another time and place, of the times that I enjoyed playing music with my friend. It will serve as a reminder to me of the beginning of my marriage as it was among the first pieces of furniture that we ever hard. It will also serve as a reminder of Steve. Sitting there among my music and instruments, my pictures of Miles Davis and Bob Dylan, I think it kind of feels at home…….but furniture doesn’t really have feelings!